I have nodules on my right side of my thyroid. I was diagnosed about three years ago. At that time I had a fine needle aspiration (FNA) done that came back indeterminate. I didn't pursue it at that time. The nodules recently increased in size to about 3 cm. My endocrinologist gave me three choices. One was to have another FNA, two have surgery to remove the right side of my thyroid or three do nothing since I wasn't experiencing any pain. I opted for the choice of surgery. I had the surgery and am now four days post operation. I am experiencing pressure when I swallow. Also I have bruising and some swelling on the right side of my neck. Surgery went very well. My surgeon said that it usually takes him about an hour and a half to two hours to complete this type of surgery. He completed my procedure in 45 minutes. I had a bad reaction. Following the surgery, due to the anesthesia, I experienced severe nausea and could not keep anything down. I stayed overnight in the hospital and was released the next day. I did not take any pain medication after leaving the hospital and have not taken any. I will return back to the doctor next week to get the oncology report to see if I will have to have the left side removed or not. I am glad that I had the surgery. My father has thyroid cancer and we have a history of thyroid issues in my family. So I would recommend to anyone that is having thyroid issues, please do not sleep on the issue, go and have yourself checked out; it could be nothing or it could turn out to be something. 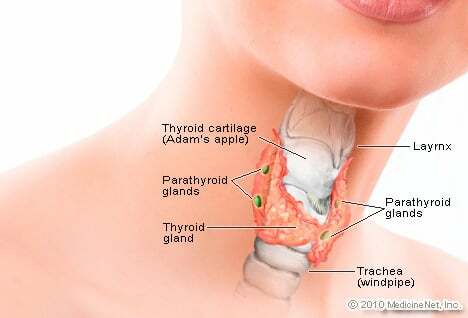 I have Grave's disease and had my thyroid removed. I had a bad experience with my surgery. I sometimes don't take my medicines like I'm supposed to which isn't good. I've never been good with taking medicines but I'm trying! I didn't realize how serious this disease is. So now I'm taking it seriously!